This week I couldn't pick a polish for Xmas Past...so I picked four. This is also our ONE THOUSANDTH POST!! Have You Seen My Limo? 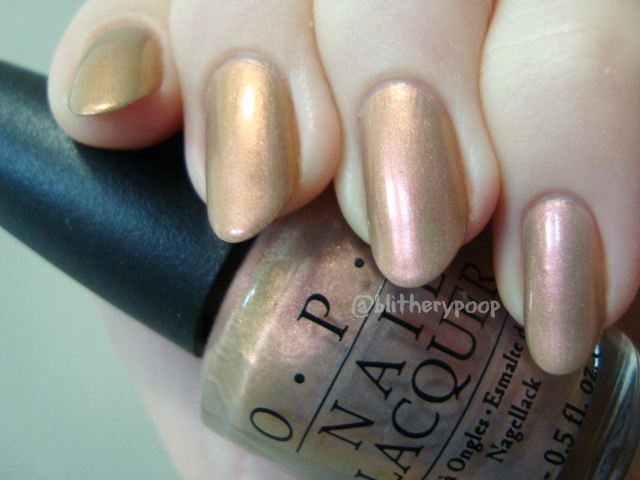 When people talk about older OPI shades, 2007's Holiday In Hollywood collection hardly ever gets mentioned. I had to google Have You Seen My Limo? when I saw it listed on Storenvy. It varied a lot from one photo to another, and now I know why. It's a bit of a chameleon, but in a very limited way. In some light it's a somewhat frosty plum. Then there's the tiny teal shimmer that comes out of nowhere and the whole thing goes to more of a black cherry color. Subtle, but very cool! It reminds me a little of Muir Muir On The Wall. This is two coats. One more photo gives a slightly better idea of the shift, but it's one of those shades you need to see in person. 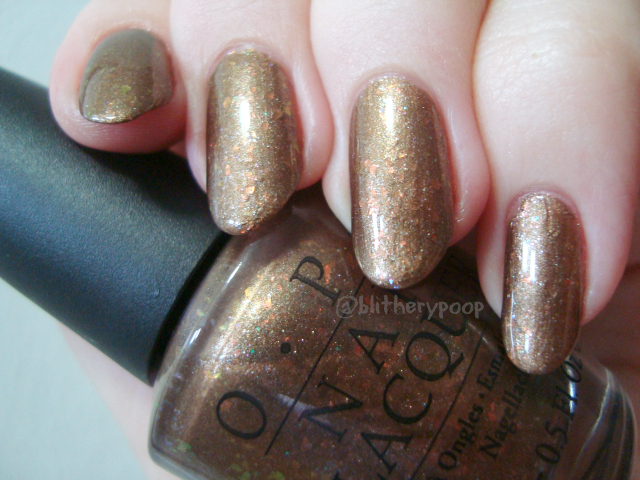 This might be the second oldest OPI in my collection. It's from 2002's Victorian Holiday collection. Kinda an oddball, isn't it? It makes my skin look green and red...maybe that's what makes it festive? I bought it to stamp with and I think that's how I'll use it from now on. This is three coats. Strong camphor whiff and a three-coater, but...it's too pretty to say no to. It's from the same 2006 Kick Up Your Heels collection as Red Dazzle from last week's Xmas Past post. 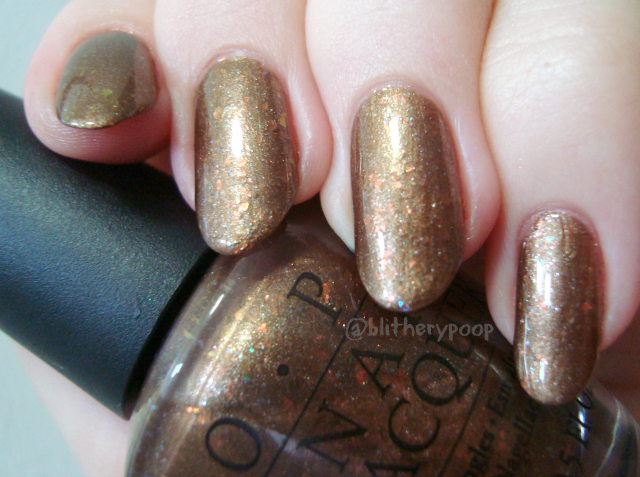 Ever see a polish so weird that you have to have it? I shoulda fought temptation on this one. Ick. The base is frosty and the flakes and glitter just make it a lumpy mess. It also wrinkled when I topcoated it. This is two regrettable coats. It's from the 2009 Holiday Wishes collection. I forgot to say it yesterday, so Happy Chanukah to everyone who celebrates! We're having latkes tonight. I was planning a blue and silver mani for my post tomorrow, but it was a flop. Thanks for the vintage goodness!